"For many decades, we have been trying to eradicate cancer by killing cancer cells. We talk of the 'war against cancer' and our 'arsenal of weapons'. For treatment of metastatic cancer, this approach has not worked, and since 90% of cancer deaths are due to metastatic disease, this is a significant failure ... An alternative approach is described by our studies with methyl sulfone Here we are not trying to kill cancer cells, but instead redirect metastatic cancer cells away from cell proliferation and migration and towards the functions of normal differentiated cells. Using the approach with methyl sulfone, metastatic cells are under no selective pressure to circumvent proliferation pathways." Caron J et al., 2013. Joan Caron, PHD, is a researcher and breast cancer survivor! "Obviously, no one is claiming that MSM will cure or prevent all cancers. But this exciting research suggests that MSM can morph some cancer cells (specifically breast and melanoma) back to normal, inhibit cancer metastasis, and prevent or slow the onset of other types of cancers, including esophageal, stomach, and liver." Jonathan Wright, MD, 2014. (See http//wrightnewsletter.com/2014/07/23/msms-secret-cancer-fighting-ability-revealed#sthash.QWrW8wwO.dpuf.) READ THIS SECTION FOR FURTHER INFORMATION. "Make Peace, Not War - An Alternative Approach." "This research confirmed my belief that the transformation of a normal cell into a cancerous cell is not a one-way street; in other words, (with MSM), I believe we can teach deadly metastatic cancer cells to transform back into healthy, normal cells." Methyl sulfone (MSM) induced contact inhibition in metastatic breast cancer cells. TOP ROW - SHOWING CONTACT INHIBITION OF BREAST CANCER CELLS WITH MSM. ​ Caron J et al., 2013. READ MORE BELOW IN THIS SECTION. 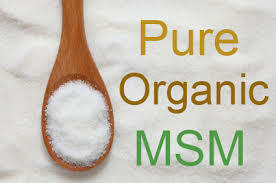 "MSM is a metabolite of DMSO (dimethyl sulfoxide, an organosulfur compound), but DMSO is approved for use in veterinary medicine only, not in humans. 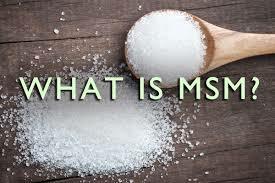 ...MSM is 34 percent sulfur by weight .... Sulfur plays a critical role in detoxification, and also in inflammatory conditions. For detoxification, sulfur is part of one of the most important antioxidants that your body produces: glutathione. Without sulfur, glutathione cannot work." " Methyl sulfone (MSM) is a small (94.33 mol wt), water-soluble compound that humans obtain from specific food sources such as cow's milk and a variety of vegetables. Interestingly, vegetables that contain methyl sulfone have been identified as possible anti-cancer agents, but for compounds other than methyl sulfone; examples include broccoli, cabbage and Brussels sprouts..."
CAUSAL CONNECTION BETWEEN REDUCED METHYL SULFONE (MSM) AND INCREASED INCIDENCE OF CANCER? "Over the last 50 years, the level of methyl sulfone has decreased in foods we eat. This decrease is due, at least in part, to an increase in food processing including pasteurization. It is premature to speculate on any causal connections between reduction of methyl sulfone in our environment and the increased incidence of cancer, but the possibility is interesting. We know that industrialization has introduced cancer-causing compounds into our environment. But the opposite, putting an anti-cancer compound back into our environment, would be progressive." In the 1986 McCabe D et al. study, the researchers explored various agents that might prevent the toxin, dimethylbenzanthracene (DMBA), from causing rat breast cancer. Specifically, 150 rats were split up into different groups, some receiving Retinoic Acid, DMSO, 1% MSM, NMF, and 4% MSM, along with their rat food. Then, eight days later, the rats were given the DMBA. On a weekly basis, the rats were examined for the advent of tumors, and were followed for 240-300 days. Although the incidence of tumors did not change, "Time to appearance (latency period) of both tumors and cancers were prolonged by NMF, DMSO, and 4% MSM." In the O'Dwyer PJ 1988 et al. study, MSM was one of three agents evaluated for its effects on 1,2-dimethythydrazine (DMH)-induced colon cancer. The MSM and other agents were given to the rats one week prior to the injection of the carcinogen, DMH. "The average time to tumor onset was significantly delayed in rats receiving NMF (another agent) and MSM (P=0.0141 and 0.398, respectively) ... In addition, fewer poorly differentiated tumors were noted in treatment groups." In conclusion, "These findings demonstrate that the polar solvents significantly reduce the latent period to tumor onset in DMH-induced colon cancer and indicate the need to further investigate such compounds as chemopreventive agents." Joan Caron, PHD, explained her alternate approach to metastatic cancer, which is not to kill the cancer cells, but to somehow reprogram them into normal cells. "The goal of present day chemotherapy is to kill cancer cells. While these chemotherapeutic drugs are often effective against early stage tumors (primary tumors), these drugs are not effective against late stage or metastatic cancer cells. Metastatic cancer accounts for approximately 90% of cancer deaths. .... We sought to determine a new approach to identify compounds that would stop cancer cells from growing (proliferating) without killing the normal cells, and in the process we discovered methyl sulfone.(MSM)." Joan Caron, PHD, summarized her study: "We first tested the effect of methyl sulfone on aggressive metastatic melanoma cells ... However, instead of looking for cell death, we observed the cells under a microscope. Surprisingly, within 24 hours the melanoma cells became contact inhibited (the cells don't run into and pile up on other cells in the manner of cancer cells). And by three weeks in methyl sulfone this transformation into non-growing, well-behaved normal cells (melanocytes) was irreversible." Normal cells become senescent during a person's lifetime, which means that the cell can't grow any more. And, in this study, the metastatic melanoma cells became senescent. "We show here that methyl sulfone induced approximately 99% of metastatic melanoma cells into a state of senescence. While methyl sulfone-induced senescent cells could no longer re-enter the cell cycle, these cells remained viable in culture for at least three months while retaining normal phenotypes such as arborization and production of melanin. Our data suggest that triggering cancer cells into a senescent state with methyl sulfone may be an effective approach to subdue the lethal properties of metastatic melanoma. The concept of induction of senescence rather than apoptosis of cancer cells as an approach to control cancer was first proposed by Serrano et al. in 1997." Conclusion: "Surprisingly, we found that malignant melanoma cells exposed to methyl sulfone demonstrated the loss of phenotypes characteristic of malignant cells, and the reemergence of phenotypes characteristic of healthy melanocytes. Briefly, over time methyl sulfone induced contact inhibition, loss of ability to migrate through an extracellular matrix, loss of anchorage-independent growth, proper wound healing followed by contact inhibition, and irreversible senescence followed by arborization with melanosomes in arbors as seen in normal melanocytes." "Methyl sulfone decreased expression of N-cadherin and increased expression of E-cadherin. Metastatic breast cancer cells were incubated with and without 200 m M methyl sulfone. (NOTE: METHYL SULFONE INCUBATED CELLS ARE ON TOP, AND THE CONTROL CELLS ARE ON THE BOTTOM. N=CADHERIN IS ON THE LEFT, AND E_CADHERIN IS ON THE RIGHT. THIS IMAGE ILLUSTRATES THE DECREASE IN N-CADHERIN AND THE INCREASE IN E-CADHERIN, WHICH IS OFTEN LOST AND IS A BIOMARKER IN BREAST CANCER. WHEN E-CADHERIN IS LOST, THERE IS DEDIFFERENTIATION AND INVASIVENESS.) After 72 h, cells were processed for immunofluorescence microscopy using antibodies to E-cadherin, ..."
​ As seen in the preceding study, methyl sulfone (MSM) was effective against metastatic melanoma cells. How about with aggressive metastatic breast cancer cells, namely 66cl-4 cells, which are not responsive to estrogen, and double every 12 hours? In the Caron J et al. 2013 study, the researchers "show that methyl sulfone does not kill the metastatic breast cancer cells. Instead, the aggressive metastatic phenotype of 66cl-4 breast cells are reversed by methyl sulfone, and these cells take on attributes of normal breast cells. These data suggest that methyl sulfone may offer a new strategy in the chemotherapeutic treatment of metastatic breast cancer, in which the goal is not to kill metastatic cancer cells, but, instead, to replace their metastatic phenotypes with properties of normal cells." Specifically, the methyl sulfone was found to " 'renormalize' two physiological functions that utilize the EMT, the epithelial-to-mesenchymal-transition (migratory power for metastasis). Firstly, the methyl sulfone inhibits the migration of cancer cells through a extracellular matrix, and, secondly, it stimulates migration of cancer cells into a wound area and subsequently inhibits further migration once the wound is covered." In addition, while cell differentiation was obvious in the case of melanoma cells - that changed "from worm-like cells to cells with functional melanomosome-filled arbors as found in normal, healthy melanocytes" - differentiation was not as apparent in the breast cancer cells. However, methyl sulfone did induce a-smooth muscle actin, a "myoepithelial-specific differentiation-associated protein", which may be "associated with a decrease in metastatic potential of epithelial mammary cells." Thus, "Methyl sulfone did not kill the cancer cells but instead decreased metastatic phenotypes and increased normal differentiated phenotypes." "We show here that regardless of diagnosis, methyl sulfone had the same effect on all tissue samples; that is, methyl sulfone imparted sustainable structured order at a tissue level and at a cellular level. In normal and cancerous human breast tissue, the structural order induced by methyl sulfone resembled biopsies of normal breast tissue." Caron J et al., 2013. Joan Caron, PHD, stated, "We have also looked at the effect of methyl sulfone on normal and cancerous human breast tissue obtained during surgery ... Again methyl sulfone normalized the cancerous tissue and made the normal tissue look even healthier. These results show that methyl sulfone is effective against different subtypes of human breast cancer tissue and methyl sulfone does not harm normal tissue." In the Caron J et al. 2013 study, the researchers obtained normal and cancerous breast tissue surgical samples for their methyl sulfone experiments. In 11 of the 17 patients, both normal and cancerous tissues were harvested from the same person. The cancerous tissues yielded diverse pathology, including invasive ductal carcinoma, invasive lobular carcinoma, etc. Cell function is related to structure. Normal breast tissue is "ordered and structured, whereas in breast cancer, the tissue is "chaotic, lacking order and structure". And, "The higher the degree of disorder within malignant, the worse the prognosis." Without methyl sulfone, the cancerous tissue appeared "chaotic and disorganized, upon attachment of cells to culture dishes. On the other hand, early cultures of normal tissue appeared either organized or chaotic. However, regardless of how the normal cultures started out, within 1-5 days in the continued absence of methly sulfone, all normal cell cultures took on the chaotic appearance of malignant tissue. In fact, normal tissue cultured without methyl sulfone for more than 1-5 days was indistinguishable from cancer tissue cultured in the absence of methyl sulfone." What happens when methyl sulfone is added? "In our studies, this chaotic appearance of both normal and cancer tissue seen in the absence of methyl sulfone was reversed upon addition of methyl sulfone, the cellular organization of cancerous and normal tissue subsequently becoming structured. After 4 weeks in culture, medium containing methyl sulfone could be replaced with control medium and the structure that had been established in the presence of methyl sulfone became permanent." Wound healing: For breast cancer patients undergoing surgery, healing is of utmost importance. Sometimes, cancer can impede the healing process. The researchers studied the "ability of the cells to migrate into the wound area, followed by cessation of migration and establishment of contact inhibition once the wound is covered." It turns out that methyl sulfone promoted wound healing, "albeit at a migration rate approximately 5 times slower than that in the control cells (no methyl sulfone)." Why? Could cancer stem cells play a role here? Knowing that breast stem cell proteins HCAM (CD44) and OCT3/4 increase the migration of metastatic cells, and knowing that the cell migration was "significantly slower in methyl sulfone-treated cells", the researchers found that methyl sulfone decreased expression of BOTH HCAM and OCT3/4 ..." Thus, "These data do not prove but do suggest the possibility that methly sulfone slows down migration of metastatic cells via HCAM and OCT3/4." Conclusion: "We show here that regardless of diagnosis, methyl sulfone had the same effect on all tissue samples; that is, methyl sulfone imparted sustainable structured order at a tissue level and at a cellular level. In normal and cancerous human breast tissue, the structural order induced by methyl sulfone resembled biopsies of normal breast tissue." Philosophy - Make Peace, Not War, An Alternative Approach: "For many decades, we have been trying to eradicate cancer by killing cancer cells. We talk of the 'war against cancer' and our 'arsenal of weapons'. For treatment of metastatic cancer, this approach has not worked, and since 90% of cancer deaths are due to metastatic disease, this is a significant failure ... An alternative approach is described by our studies with methyl sulfone Here we are not trying to kill cancer cells, but instead redirect metastatic cancer cells away from cell proliferation and migration and towards the functions of normal differentiated cells. Using the approach with methyl sulfone, metastatic cells are under no selective pressure to circumvent proliferation pathways." EDITORS NOTE: Another great study led by Joan Caron, PHD, a breast cancer survivor! "The live cell microscopic study confirmed the ability of MSM to inhibit cell migration and the in vivo studies with breast cancer xenograft model confirmed the ability of MSM to suppress tumor growth. ​...Based on all these results from our study, we strongly recommend the use of MSM as a trial drug for treating breast cancers because of its multi-targeting mechanism." ​Lim EJ et al., 2012. In the Lim et al. 2012 study, the researchers evaluated the effects of MSM on the STAT3 and STAT5 pathways in suppressing breast cancer growth. Specifically, the researchers conducted experiments with MSM on breast cancer cells and in a xenograft mouse model. STAT3 promotes tumor progression by inducing angiogenic factors, such as VEGF. In a 300 nM concentration of MSM, MSM exerted cytotoxic activity and anti-angiogenic activity by suppressing VEGF in triple negative breast cancer cells and in less aggressive MCF-7 breast cancer cells. In hypoxia (low oxygen) in breast cancer cells, the low oxygen stimulates the transcriptional activity of the IGF - insulin-like growth factor - , and cyclin D1, all mediated by STAT5. "Cyclin D1 and IGF-IR are the key regulators of cell proliferation that are overexpressed in most breast cancer. Furthermore, IGF-1 is a potent mitogen in cancer cells and plays an important role in tumorigenesis and tumor progression in a variety of cancers." MSM can "down-regulate the expression of STAT5b as well as IGF-IR in both aggressive and non-aggressive human breast cancer cell lines." The inhibitory control rate for the breast cancer cells was a concentration of 300 nM. Since these cancer cells were no longer viable, further testing needed to be done at a concentration of 200nM, wherein 70% of the cancer cells remained alive. After 72 hours, "MSM inhibited the migration of metastatic breast cancer cell lines. The cells which were not treated with MSM showed migration over and under the neighboring layers. Moreover, the control cells showed arborized morphology, whereas the 200nM MSM treated cells remained without any morphological alteration." In the mouse xenograft model, triple negative breast cancer cells were injected into mice to create the xenografts. The mice were treated with MSM for thirty days. In the presence of 300 nM MSM, the MSM reduced growth by 70% in the xenografts, compared to the mice not given MSM. And MSM was shown to "control VEGF, STAT3, IGF-IR, and STAT5b effectively." Conclusion: "The live cell microscopic study confirmed the ability of MSM to inhibit cell migration and the in vivo studies with breast cancer xenograft model confirmed the ability of MSM to suppress tumor growth. Both from in vitro and in vivo analysis we confirmed that MSM had a regulatory mechanism on STAT3, STAT5b, IGF-1R, IGF-1, and VEGF. This confirmed the ability of MSM to suppress tumor initiation, growth, and metastasis." Thus, "Based on all these results from our study, we strongly recommend the use of MSM as a trial drug for treating breast cancers because of its multi-targeting mechanism." SUPPLEMENTING WITH MSM? EPSOM SALTS? We learned that MSM is 34 percent sulfur by weight. While considering taking MSM, how about an epsom salt bath? MAKE PEACE, NOT WAR WITH MSM!